After breakfast drive to Ranthambhore en-route visit Fatehpur sikri, a perfectly preserved red sandstone "ghost town" which was the estranged capital of mughal emperor Akbar, built in 1569 and deserted when its water supply failed. After visiting continue drive to Ranthambhore. Arrive Ranthambhore and check-in at hotel. Night stay in Ranthambhore. Morning enjoy jungle safari in Ranthamore National Park. 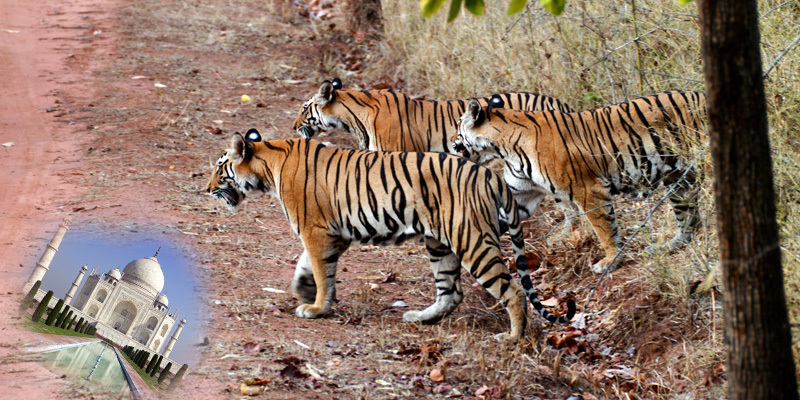 The national park is well known for its tigers and you can more often than not catch a glimpse of them. There are other wild animals to be seen about too. After a leisurely lunch, we take a jungle safari again in the evening. Night stay in Ranthambhore. Morning departure transfer to the airport to board the flight for onward journey. Tour ends with sweet memories.